Bolsover Wins School Food Achievement Award 2015! Every year the LACA Awards acknowledge individuals and teams of pe ople who continue to make a real difference in education catering. Winning a LACA Award not only boosts the confidence, morale and motivation of the whole organisation but is instrumental in changing the attitudes and influencing the actions of both parents and pupils. The industry continues to be driven by the commitment and dedication of its workforce. Maintaining that enthusiasm, building on performance and driving greater success are the yearly challenges. With no end in sight to the austerity measures, public sector spending cuts and the increasing strain on family budgets, education caterers are facing operating circumstances that are tougher and more demanding than they have had to face, even over the last few years. Everyone is being expected to do more for less and having to look at new ways of delivering services without a reduction in quality. Despite all of these pressures and testing circumstances, they continue to maintain high standards and strive to find innovative, creative, enterprising and budget conscious initiatives, which bring about positive outcomes and solutions for their services, organisations, schools and academies. Good management, strong performances and high achievements deserve to be recognised at any time. However, achieving successes during these particularly trying times is perhaps even more impressive. Acknowledgement of effort is particularly important to not only reward but sustain motivation. As the leading professional body for all those in the education catering industry, LACA’s annual awards are highly coveted accolades. Being nominated and selected for a LACA award by your industry peers does not only bestow a sense of prestige and honour at a personal level but it simultaneously raises to greater heights the professional reputation of the organisation or school employing Award winners. A LACA award is an invaluable promotional tool in any organisation or school’s marketing armoury and speaks volumes about its high standards of customer service and care. The awards ceremony took place in July at the Birmingham Metropole in which our school won the first ever Food Achievement Award. 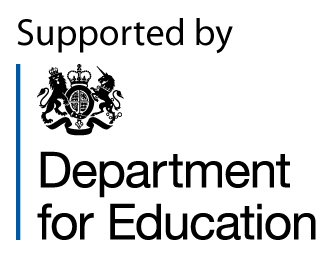 It was new for 2015,and sponsored by the Department for Education. The ‘School Food Achievement Award’ was presented to the primary school that, in the opinion of the judges, has strived to achieve the most significant improvements in catering and food education taking a whole school approach. Our school had to demonstrate how we have worked to improve in all areas of food provision and food education. We showed how we have increased quality and adopted a whole-school approach to food as laid out in the School Food Plan. Testimonials from school caterers, head teachers, teaching staff, pupils, parents and community leaders are expected. Thom Crabbe from the School Food Unit at the DfE congratulated the inaugural winners – Bolsover C of E Junior School in the primary section – and praised the very high standards achieved by our school.